Nicknamed “the sleeping beauty”, Bordeaux has become a very sought-after tourist destination in recent years. Read on to discover why the next trip you take should be to this fantastic city. One of the first things that comes to mind when people mention Bordeaux is the long list of world-class and grands crus wines. 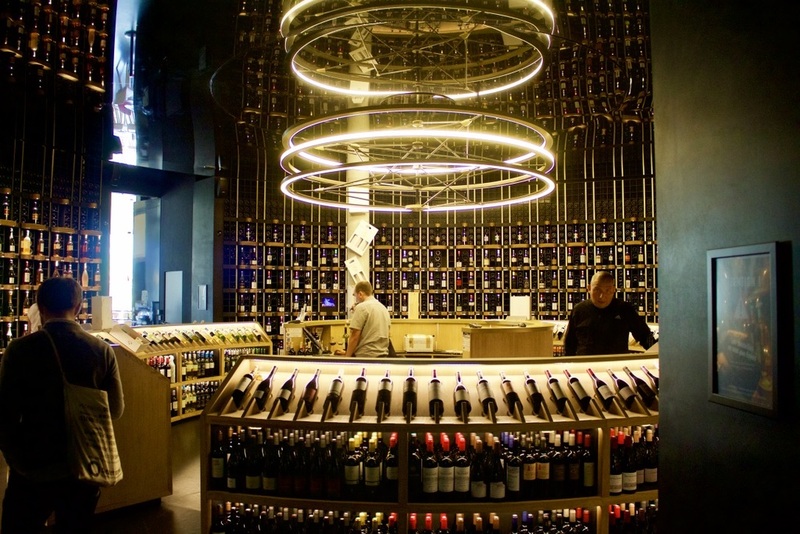 Make sure to stay long enough to visit as many wine bars as possible, take a wine tour or visit La Cité du Vin, a gigantic museum and home to exhibitions, movies screenings and cultural events around wine. Bordeaux is famed for its excellent wine but the food in not bad either. Foodies might feel overwhelmed with all the tasty options available to them. Seafood lovers will be delighted with the oysters from the Bay of Arcachon considered by many food critics as the best in the world. Don’t miss the cèpes de Bordeaux and the mouthwatering magret de canard. Just incredible. Locals and visitors appreciate the very easy-going pace of the city. People in Bordeaux seem to master the work-life balance to perfection. One proof of this is that more and more French people from other big cities leave their hometown to settle in Bordeaux and embrace a lifestyle à la bordelaise. For years, Bordeaux was overlooked by tourists visiting France preferring the prestige of the French capital and you could hardly hear people speak English even during the summer. However, with its unanimously praised quality of life, the city is attracting more and more tourists and also entrepreneurs, mostly coming from Paris, which creates more business opportunities and this is giving a serious boost to the the tourist industry. Another great perk about this fabulous city is that it is bicycle-friendly. Seeing people riding through the city immediately gives you a sense of peacefulness. Besides, renting a bike is an easy and inexpensive way to explore the city. One of the great things about coming to Bordeaux is that the diversity of its neighborhoods gives you the impression of visiting several cities all at once. For instance, you can walk from the prestigious area near the Grand Théâtre to the diverse Saint-Michel neighborhood and end up in the vibrant Place de la Victoire in a matter of minutes. You won’t have to look too hard to find green spaces in Bordeaux as there are gardens and parks throughout the city. Whether you’re in the mood for a romantic getaway, an improvised picnic with your friends and family or just fancy relaxing in a more low-key ambiance, there is the right park for you. What is a summer vacation without a trip to the beach? Although there is no beach in the heart of Bordeaux, it’s very easy to reach the ocean with many beaches less than an hour away. If you’re into surfing or just want to take a dip in the sea you should definitely plan at least one daily excursion to the beach during your holiday. For those who like to discover a place though its architecture, Bordeaux will thrill with its many architectural masterpieces. You’ll see the 18th century influence in some of the biggest monuments in town, and also appreciate Gothic-inspired buildings such as the Saint-Michel church or the Middle-Ages-styled Porte de Cailhau. The world’s biggest reflecting pool, the Miroir d’Eau must be on your list of places to visit while in Bordeaux. Facing the stunning Place de la Bourse, people like to wait for the water mist which occurs every 15 minutes – walk through for the perfect way to cool down from the summertime heat. Are you still reading? Book your ticket already, Bordeaux is waiting for you!